The PHI User Meeting 2016 will be on 28-29 April 2016 at the Crowne Plaza Hotel in Maastricht, the Netherlands. See the new nanoTOF MS/MS! 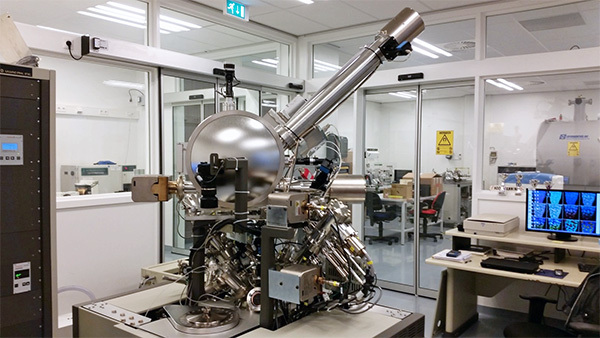 Usually the user meeting is held in Germany; this year there’s a change of venue, to give you the opportunity to see the new nanoTOF MS/MS instrument that was recently installed at Maastricht University (M4I). This is the very first installation of the new technology, and Physical Electronics wanted to share it with you at the user meeting, where you will be able to see the instrument first hand. You are invited to share your research with PHI and other PHI users in a short 10 – 15 minute presentation. Discuss your experiences using PHI equipment, give a presentation about your application or about features that you have developed for your system that might be of interest to other customers. Your talk can be about any PHI technology, including XPS, Auger Electron Spectroscopy (AES) and TOF-SIMS. Register for the User Meeting and/or training sessions on the Physical Electronics website. You can register using the online form or download a PDF form. There is no fee to attend the User Meeting, there is only a fee for the software training sessions. There is also a form to reserve your hotel accommodation at the Design Hotel Maastricht at a special rate. Groups will be limited to 15 people for the MultiPak training classes and 8 people for the TOF-DR training class. The classes will be first come, first served. In previous years, the PHI Multipak training course has been very popular, so please register early if you wish to attend. Register for the training on the Physical Electronics website. More information about the training is available on this training fact sheet from PHI.